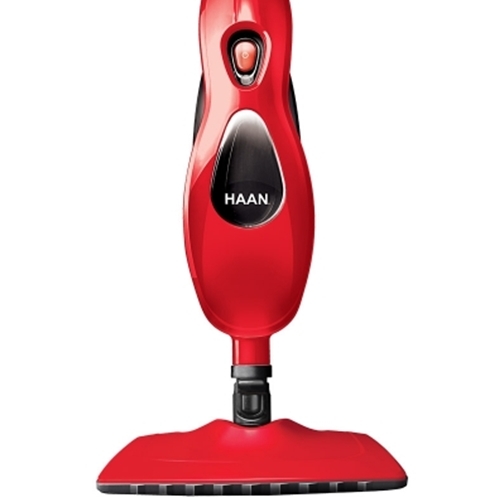 HAAN's MultiPro transforms from a fully functional steam cleaner into a robust handheld steamer with steam control. Clean your whole home from top to bottom – from your kitchen to bathroom, bedroom & living room. Easy to use with the power you need to blast away dirt and grime! Three bonus ultra-microfiber cleaning socks included . . . a $19.95 value! Deluxe handheld attachment kit with extra long extension hose, shoulder strap, small steam head, scrub brush attachment, and angled nozzle. First note, the $150 is what I paid for the "regular" version of this item (which came with 1 mini steamer cover and 2 regular pads). It randomly died 2 years ago and I've tried many other steamers and mops. This was definitely a steal. My partner and our toddler are constantly leaving me to clean up behind them, but this item works wonders (seriously, who throws sugar and flour on liquid messes when there's an "uh-oh" towel in every room?). It heats up fast, gets it all without issues, it even gets dried sap off tile! The handheld steamer is perfect for tables (yes, I'm a bit of a neat freak). I've also use the streamline attachment for harder-to-get spots (grout, crevices, corners in kitchen, etc) and I couldn't be happier. It arrived in Los Angeles 4 days after purchase, so I was very impressed with that. Overall, I'm super excited to have this item back. I will definitely start shopping regularly at vacshack. I have owed sharks bissells and eureka steamers and non of them would heat as fast and steam as nice as this one. thanks vacshack.